Another strategy is simply to enter whois followed by a domain name into a Google search box. 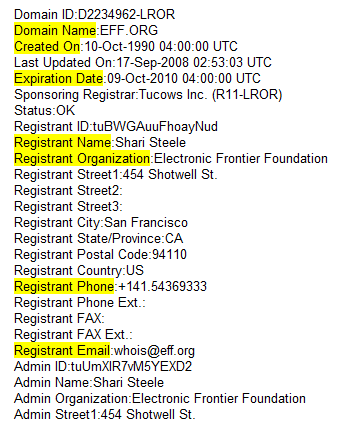 The first result will be a report that gives information about the site, including a whois record (scroll down to see it). You can also use the URL and domain name to find out which sites link to a certain page or website. This way you can learn about the site's "network"—what kind of a crowd thinks it is useful. Are they all of the same political or ideological slant? A great tool for this is Yahoo's Site Explorer. 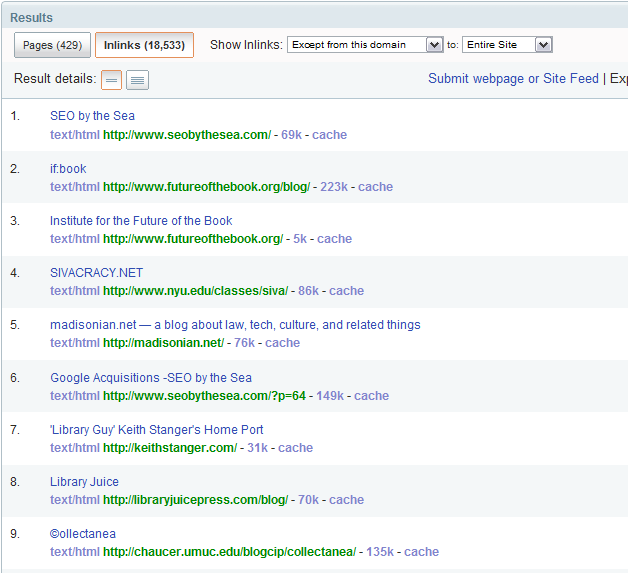 This tool allows you find out which pages link to a particular page or to an entire website. To use it, just enter the site's domain name and click the "Explore" button. Then, click "inlinks"; you can also choose whether to see pages that link to one particular page or to the website as a whole (click the image below to see an example). You can also find inbound links by typing link: followed by the domain name or URL into a Google or Yahoo! search box.